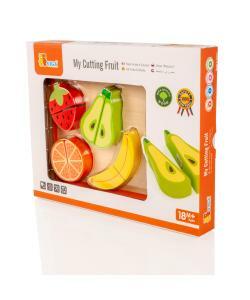 Children will love pretending to cut the fruit into pieces and putting them back together. 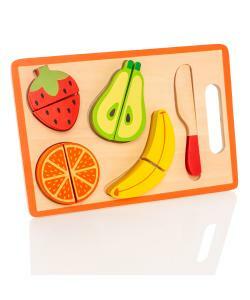 Then match the fruit pieces to the cutout shapes in the board. 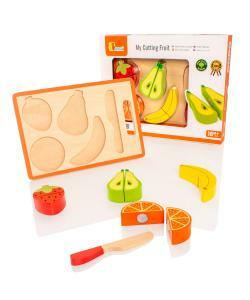 Large fruit pieces for little hands. 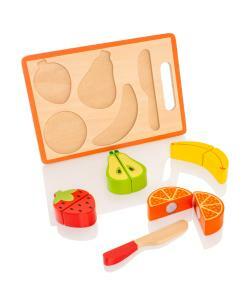 Cut food in half and fit them back together again with velcro. 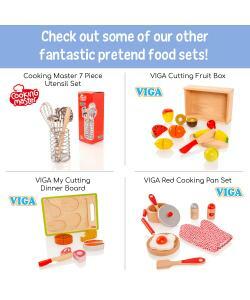 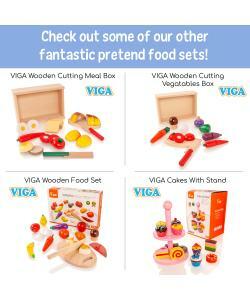 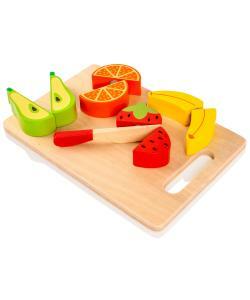 This well-finished wooden food playing set brings timeless fun for children. 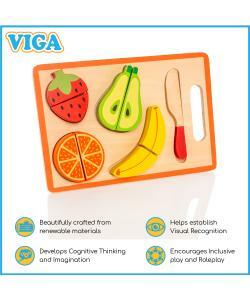 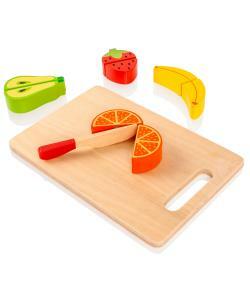 Each set contains wooden matching board, a knife and 4 pieces of colourful wooden cutting fruit.